Acne is not a life threatening disease, and it doesn’t make sense to let your self-esteem be assassinated just because you have acne. However, if we ask those who have it all over their face, neck, back, or chest, we’ll understand how embarrassing and daunting it is in reality. Getting rid of acne can sometimes even require your blood and sweat, as demanding it is to prevent it and ensure a lasting clear skin. 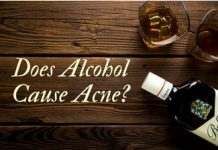 And before moving forward to discussing how to do it, you should have a solid foundation of belief that why is it essential to take measures for preventing acne. You might have got rid of your acne and don’t want to see it again. 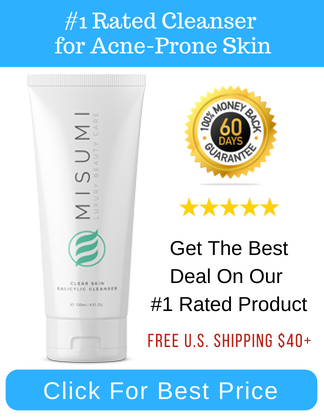 Maybe your acne exists at the moment, but you don’t want any further breakouts to occur. 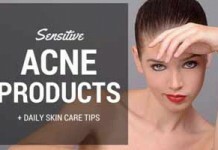 You never had acne in the past, but you fear that it can victimize you at any upcoming instant. The first two situations obviously make sense, but what about the third one? Is it crazy to think that way? No, it isn’t. And let me go one step further. It’s smart enough to think that way. The overproduction of sebum (oil) and keratin by the sebaceous glands. Bacterial growth, which results from the overproduction of oil that clogs the hair follicles. 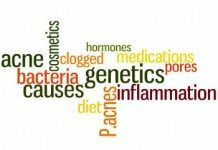 When that happens, the bacteria multiplies and causes inflammation, then we see the result of all these steps in the form of acne. But the thing worth pondering is that these are just “on the surface” factors only. Behind them is a series of complex interplay of different types of irregularities in our body. The prevention of acne can ONLY be ensured if we counter all these irregularities in our body that eventually result in the occurrence of acne. [pull_quote_center]Everything you eat becomes a part of not only your inner being, but the outer fabric of your body as well. The healthier the foods are that you consume, the better your skin will look. [/pull_quote_center]Says Samantha Heller, MS, RD, a clinical nutritionist at NYU Medical Center in New York City, WebMD. That’s why the guy or gal who fears being victimized by acne in the future is not crazy, at all. Acne won’t care if you have any history of having it or not, but if the inner balance of your body isn’t good enough, then the coast is clear for it. So, by now, I’m beginning to assume that you have a definite reason for taking measures toward preventing acne. 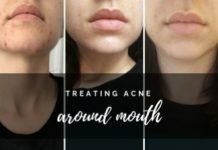 And I believe that it’s the right time to describe how to prevent acne, and discuss all those ways that are essential to develop an inner balance in your body to prevent future breakouts, and ensure a lasting clear skin. 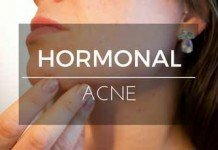 If you still believe that you’re diet has no role in your acne, you’re missing quite much. 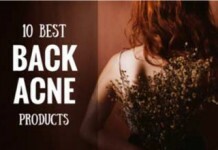 The fact is that it DOES play a definite role in the development of acne. Skin is the largest organ of our body. The reflection of how we eat or what we eat is clearly visible on the surface of the skin. So, to prevent this condition from happening, we should maintain a healthy diet – ensuring that we keep the toxic buildup in our body as small as we can. Most of the spicy, intensely cooked, heavy meals are usually very toxic. You should avoid them in your diet as frequently as you can. 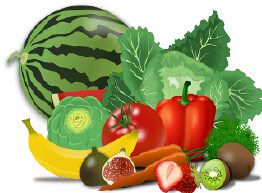 Ideally, your diet should be composed of a balanced combination of raw and cooked foods. And the daily consumption of fruits should be increased. 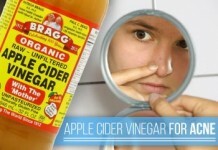 Doing this will not only reduce the toxic build-up inside your body, but it will also aid in balancing your overall health and preventing future acne breakouts. It can effectively reduce the effects of androgenic hormones on your skin. Foods that contain the highest percentage of zine include mushrooms, beans, cashew nuts, pumpkin, squash, wheat germ (toasted), etc. Vitamin A can be very effective in reducing excess sebum production. Tuna fish, dried apricots, squash, carrots, and sweet potatoes are some of those foods that are high in Vitamin A.
Vitamin E helps to eradicate harmful free radicals from the body as well as prevent cell membrane from damaging, providing an overall health of the skin. Spinach (Cooked), plant oils (Olive Oil), avocados, and almonds are some of the main sources of Vitamin E.
It minimizes the sensitivity toward the effects of testosterone and provides help in preventing premenstrual acne. 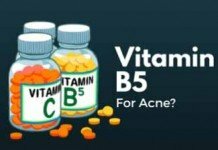 Some of the main sources of vitamin B6 include bananas, tuna fish, avocados, turkey and chicken. Each of these nutrients has the capability to prevent acne on their own way. By adding them to your diet, you’ll potentially decrease the chances of any further breakouts. 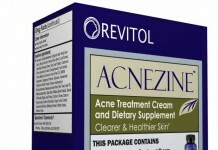 Another essential step for the prevention of acne is detoxification. This word represents the process of getting rid of excess amount of toxins from your body by avoiding toxic foods and adding cleansing foods to your diet in their place. 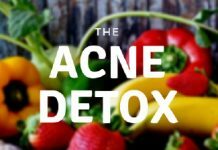 Detoxification not only aids in the prevention of acne by reducing the burden of toxins to be expelled on the organs of elimination, but it is also very helpful in balancing your weight and reducing your vulnerability for becoming sick. The most effective way of detoxifying your body is to go for a 10-14 days complete detox plan in which you eat nothing except the cleansing foods. Alternatively, you can keep a 7:3 ratio of cleansing foods over toxic foods to ensure less toxic build up in your body. However, if it all seems overwhelming, I recommend taking a look at Dr Hyman’s 10-Day Detox Diet Plain for a more comprehensive and easy to follow approach. Exercising helps in increasing the flow of blood in our body and provides more oxygen to the skin cells – eventually helping our skin to grow healthy. Therefore, exercising on a daily basis can aid you in the prevention of acne. Moderate perspiration also assists in the prevention of acne as it cleans the skin pores from inside out, but that doesn’t mean it can backfire.. Take a shower after you exercise, or wash your face after you perspire to prevent pore clogging because of it. If you’re really determined to prevent acne and have a clear skin for long, then besides all these steps that aim to maintain perfect inner balance of your body, you should follow this daily regimen to keep your skin clear from outside as well. 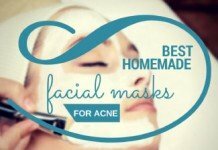 These are the most essential steps you can follow daily to make your skin fresh, healthy, and free from acne. Take a steam. It doesn’t only help in opening up your clogged skin pores, but it also helps our skin to rejuvenate and promotes cell formation. Wash your face twice or thrice a day with a mild cleanser, preferably one containing tea tree oil to fight acne causing bacteria. Never let your skin become dry or excessively oily. Always maintain a balanced moisturizing level on your skin. Make a habit of applying aloe vera gel on your skin. 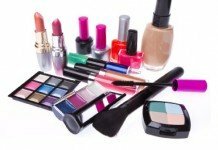 If you use makeup, make sure that it’s oil free. It’s always good to not overuse it. Never sleep with makeup applied because it can potentially clog your skin pores overnight. If you have severe acne, it’s a better choice to limit your shaving to once a week (if you do, at all). Always shave along with the direction of your hair growth. Never pick, pinch, or squeeze your acne. 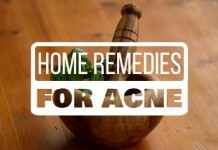 It can do nothing but aggravate your acne. 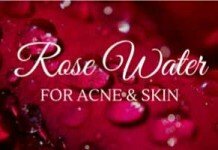 So that brings us to the end of this detailed discussion that thought you how to prevent acne and have a lasting clear skin. To recap, we’ve discussed three main methods of maintaining an inner balance in your body. These included your diet plan, detoxification, and exercising. And at the end, we discussed the most essential ways of maintaining a clear skin from the outside. All these steps, when combined with a zestful and persistent aim to prevent acne, can definitely ensure you LASTING CLEAR SKIN. I’ve shown you everything you need to do that, now it’s your turn to make it possible. 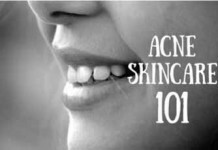 There’s no hard and fast rule to determine the best treatment for acne. Every skin is different. A treatment which might work for someone doesn’t necessarily mean would work for you too. If steaming doesn’t help you, leave it. Try something else (without compromising on safety). 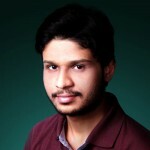 I’ve written a detailed post on eliminating blackheads, which you can read here. This will give you a better understanding of your condition and hopefully you’ll be able to find a treatment that works for you. I’m about to start a 3 step thing, cleansing with olay foaming wash, exfoliating with apricot scrub and moisturise with Palmers cocoa butter with vitamin e and I also plan to change my diet…..do you advise I use them? Sound interesting. Optimizing your diet will always help. Moisturization and cleansing are essential. I’d advice to just be careful with the scrub. 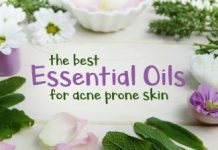 Although, not all of them go that way, they mostly end up aggravating acne, specially if you have a sensitive skin that gets irritated easily. So, make sure your scrub isn’t super abrasive.